RIEDEL FASCINATION | Canada, gardening, animal rights, books, spirituality that's open & free! To my subscribers and peers, returning to support my reading groups: hello and thank you! I started as a blogger and cherish this place where we write articles about topics that matter, exert our creativity, and play. The Goodreads community became important to me as well. We welcome a number of them into the blogging world: hi guys!!!! Join by adding yourself the linky buttons of your choice. Never, have I been asked to explain as often as this month how to use a “linky button”. But basic questions signify the influx of new people discovering what WordPress offers; a happy event! Rather than chase all over WordPress and Goodreads, be sure to return and read my reply where you posted it. I respond to comments and questions I have seen, within two days. The key is to re-read instructions. They are all there, on every question asked. Click, experiment, task from a clearer perspective. All that the sign-up buttons request, is a name and a website URL. If you don’t have a blog for making a post; create a Goodreads shelf for each group theme you join, as your website URL. Veteran challenge participants value this: we avoid finishing reviews and websites in busy November and December, by running from Feburary 1, 2019 to January 31, 2020! Your book lists may span the calendar year but I felt long ago, that the best way to accommodate reading right up to New Year’s Eve, is to let us breathe. Tally things in January, when we have much more time. I draw our prize in December to avoid Canada Post’s annual rise in postage costs. The festitivities that come with my four themes have no qualification except membership. They are for seeing how much you read; not decreeing how many that should be. I solely ask that you please comment somewhere or e-mail before December, stating entry into the draw. Some participation fizzles, others do not want a second-hand book or alternate goodies. I want to award our annual prize to folks who are keen on it and still playing. Please sign-up if you intend to play. When I see that we have ample guests in my four groups, I will deliver on games, trivia, and fun that I have had in mind for years. I will stick to one prize representing my whole quartet at the end of this year. When we reach ten people in each, I can return to a draw per group and ask authors for sponsorship of festivities throughout a year. For now, they are for fun. Knowing how many guests there are, lets me know that these are worthwhile as well. I write a notepad or word document to keep track of each group. This is an organized place to paste all website links connected with my themes: the sign-up page with information, the review page with instructions, the URL to our blog post or Goodreads shelf, and our list of books that fit. See mine under each of our 2019 logos. Planning how many suitable books I have here at home, starts my fun! Because we start in February and are following the calendar year, many of us have finished and reviewed several books. Paste your review links with each title. It is easy to copy and paste them into buttons. Notepad and word documents are great for seeing if your book choices match my other themes. Sign-up for these any time. A useful chat among comment boxes, is hard to find titles. Many of us are fond of trading paperbacks we have on-hand, for books we seek! There are swapping resources for Britain and the USA but we Canadians need people willing to trade with us by mail. Currency, postage, and prices differ but exchanging books evens out wonderfully. The review pages are open! After joining a group, add reviews answering that theme! Please read the instructions on each of them. By written description and by example, I explain the forumula for writing our entries. One thing longtime guests have not done is chat in the comment boxes. Say hi and tell us how you are; personally or in books. Please subscribe to my blog to guarantee catching information, news, and activities. Or watch for updates here, which I mirror in my Goodreads group. I am not repeating those years, when I put a lot of effort into entertainment that people did not see. It is of course voluntary. You may spend the year adding reviews but an occasional comment to news and discussions is appreciated. Stay tuned for an activity I will post shortly. It will be open to everyone: my blog-readers, Goodreads friends, and people who see it! You do not need to be a challenge member, if I don’t specify this. One riddle for members of any of my groups is already on, a tradition of ours every year: the “My Kind Of Mystery” logo! While I am doing one year-end draw, it makes sense that every member, in the mystery theme or not, may solve this logo. Being a game-player, here in one of my RIEDEL Fascination themes, is enough. You win a second entry in the year-end draw. The first clue is already visible: do you recognize the book cover out of which I made the 2019 logo? I will let that sit, lest anyone know it right away. I will gradually add clues until people solve the title, author, and year. Guesses are unlimited. Send them by e-mail (RIEDELFascination(at)Gmail(dot)com) so that answers aren’t given away. A positive new category in “Gentle Spectrums” is for our dear 8 year-old, Conan. He has been missing since July 2017: travelling in response to unusual confinement that week. There are a lot of places a strong, people and forest smart cat can be, in a year and a half. Ron & I have a very good feeling that this spring of 2019, we are finally going to get this son of ours home. Please add your healing, protecting, positive energy to this prayer and to anything your life requires. Reading is entertaining but also a balm for us. My answer to what reading themes are and why I love them, is that they make sport of a solitary hobby. Here is a way that it is communal, self-competitive, and fun. May 2019 be a wonderful, “Hope And Triumph” for all! Yours truly, Carolyn and family. Carolyn, baby Love, baby Conan (top), baby Petal (bottom), baby Angel. As I renewed my four reading groups for 2019, I explained that criteria needs to accommodates the books and reading I naturally do. I like a scavenger hunt more than a challenge; merely a fun way to categorize and share what I am reading. I hope you will join me for any of them: “Ethereal“, “Celtic Coasts“, “My Kind Of Mystery“, “Gentle Spectrums“! Too many hosts were drumming up hoops; stretching rules across bingo card formats, or a publication or purchase year limit. Finally, although people generally say prizes don’t matter; challenges with no chance of winning a draw or tidbit is fruitless work. Do hosts store the webpages they create and reviews they receive? I do: everything contributed to my groups are referenced in my “past challenge” menus. It is not hard to offer one prize and Kathryn is generous, with a draw a month. She does not say we need to review. The chance to win a book, since I do not use Kindle and gladly accept every advantage on offer, is motivating for me! I will maintain this blog post and list my connections under the months in which I make them. I will comment whenever a fresh month yields a connection. I review everything I read when I have time, so please check back to see them. Thank you for thinking-up something fun again, Kathryn. Perhaps I host something for you and your subscribers, as well! These are my first return to authors, since trying them! How is that for creative? Some, I jumped to continue with; others have taken a few years to revisit. I created Gentle Spectrums, after enjoying title and word games but finding rules narrrow. I love scavenger hunts through my shelves, that fit my reading fancy. I have many colour titles and would not abide a limit of one hue in a year. The thrill of matching books is to keep on adding them, isn’t it? Six years ago, Gentle Spectrums solved that problem: the first group with unlimited colours! This remains the only one mixing that theme, with an easy-to-fill game of broad headings. I blended my favourite traits in an inclusive way. If you like my creativity and flexibility: join via this year’s beautiful butterfly logo! Here are my ideas for the new selection of headings. Please visit again for the book reviews I link up to my lists. (1) LIMITLESS PALETTE ~ COLOURS! Include: colourful, colour, bright, light, iridescent, iridescence, dark, shade, hue, spectrum, rainbow, prism. Choose titles that mention continents, any books in or from continents other than yours, general atlases, geography; spotlights other than of your continent. Include titles containing words that go with fashion or home decor and books about these things as well! Look for words associated with education. Or the books may be instructional: manuals, school readers…. A new one, with our kitty in mind, whom we pray is returned home to us this year! Fine arts, photography, music, film-making, poetry. Key words in titles, or books about these. Let’s make these well-established toys or hobbies, in title or contents. Happy feelings, drink, food, exercise, medicine, energy, medical or spiritual professionals. Here is what I read for Gentle Spectrums last year! I have run My Kind Of Mystery since 2014! It is the only group to cover every kind of book about mysteries; even biographies and tutorials! If you read any mystery material: this group is for you. I created it, in answer to excessive focus on the crime type. Many think of that as a synonym, rather than one branch. I love solving MYSTERIES, far better than solving crimes. When hosts devised bingo cards, or capped publishing dates; the books we could qualify narrowed more. Here is a place for all of them! I don’t have time to break up genres and groups with no prize, feel like pointless work. My criteria is simply to join and share, with optional festivities: whether you would enjoy a place to tally sub-genre challenges, or one home base for everything. I have been happy to contribute to the wonderful mystery community, for six years! Please join me via the link in our logo! The identify of its originating novel is a riddle to solve. Contact me with guesses any time you would like to venture them. Here are my reading plans. Please enjoy and return to see my reviews as I write them. Here is what I read for My Kind Of Mystery last year! Here are our 2019 reviews. I have run it since 2016: the perfect name for the only group that covers all three Celtic countries! 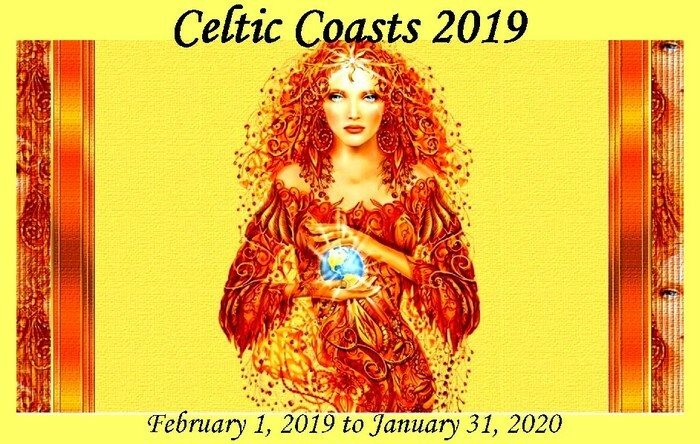 Whatever genre your passion might be; if your author is born or residing in Celtic country, if your literature takes place among these countries, or is connected to them strongly: this group is for you. I created Celtic Coasts, after the Irish group retired that I enjoyed. Ireland is part of my heritage, as is Scotland. Ron & I had the thrill of seeing Scotland for ourselves in 2009. There have been Scottish challenges but none for Wales. Whether you sum up a few groups here as your home base, or like me, prefer a place to mix and match these three cultures: I am very proud to provide this unique forum, Celtic Coasts. Join me via the link in this logo! I also invite you to visit the reviews I write, of Celtic books I read this year. Here are my plans. Here are the Celtic-related books I read last year. I have run ETHEREAL since 2014: the perfect name for the only group to cover all metaphysical, spiritual, and magical ground! Real spiritual, healing, psychic disciplines…. paranormal, fantasy fiction…. religious or folk traditions, mythology, legends, or science fiction that is out of this world. I created ETHEREAL, after not encountering a group for what I am most passionate: about spirits. I am excited about a lot of extra-sensory subjects, that had fit nowhere. I created this place that covers everything; even children’s books with inanimate personages. Please join through the link in the logo. Here are my plans for spiritual, encouraging, mystical, and empowering reading this year! Visit my reviews, as I write them. I also have alphabetized menus at the top of this blog. Here is what I read last year. Our 2018 Mystery Logo: Solved! I invited every sleuth-minded person who is interested, to solve our 2018 “My Kind Of Mystery” logo because my groups were very small this year. I am going to squeeze in time to roll out my new year of reading themes in December, even though I am always busy November and December, to increase membership henceforth. In the meantime, the riddle of identifying the book cover from which I drew our logo, is open to everyone. I make them easy to solve, so I will try one more time to prompt you, by showing you how I would solve it. All you have to do is follow these steps and use the answers you derive to look-up the rest. Ready? Here are the starter clues! The cover I chose for our 2018 group is not the one I own but I find it the most beautiful. I have not read this novel yet but this version suggests paranormal content but the categorization is something I favour anyway: gothic mystery. My first clue was to put it up and see if you recognized it. It is a recent release (for me, that is 2010 onward), originating in England with this cover. This title is about a character. It was reissued in Canada and the United States one month after, with a cover and title about a place. The clue with which to really work well, is that the English authoress’ last name, resembles an American author of Greek-inspired children’s fantasy adventures. His are blockbuster films, in which Pierce Brosnan has appeared. I have seen the first two and like them, myself. This gives you enough to work with, or recognize right off the bat, therefore any little bit of effort will bring in answers! Does that look difficult, or can you see the easiest clue to target? Simply search a broad query: “Greek-inspired children’s films Pierce Brosnan has done”. If the author’s name is not evident in one go, obviously look up one of the film titles and find out the author’s name. I said a British authoress has the same name, so use it with another broad query: “British author –“. If there is more than one, you know she is publishing recently. Pinpoint her, who I don’t believe has many novels and all you have to do is locate this cover. Do you need help with that? There are three easy ways to see a variety of book covers. At Google, type a title and click the option “images”. At Fantastic Fiction and Goodreads, type a title and see a variety of versions there too. I’ll give until the week-end for people to solve it because it would be the first time and a shame, if no one played. Go ahead and make guesses in this post’s comment box: the authoress, title, and year. Then my posts for my four groups will be wrapped-up and I can start creating new pages for sign-ups. I believe my RIEDEL Fascination reading challenges are emerging from two lean years. Twice, I made one prize draw across all four groups and we were so few, I invited any of the group guests the mystery logos. The year we are finishing, was rock bottom for membership and the logo tradition was only played, because a new friend of mine from Goodreads solved it. Thank you, Sheri in Wisconsin! I am happy to say she and other new faces are already starting to join for our 2019 run, as well as some veteran players. This is a good sign, which means that as people read the variety of advertizing folks have helped me post and have time to act: we will for certain step up this year! If I had ten people in each group (yes, we were lean), I would consider that a cascade and would re-open all of my creative activities and a draw for my individual groups. As for the answer to our “My Kind Of Mystery” logo of 2018, that Sheri solved? It is a 2015 novel I received as a birthday gift, brand new, in 2017 and look forward to reading this year! My trade paperback is called “Fiercombe Manor” but the original, much lovelier cover and title are: “The Girl In The Photograph“, by Kate Riordan! My clue is that her name resembles Rick Riordan, the American fantasy novelist. But you will read in the comments that Sheri solved it another way: she just did a search of the promotional quote on the book! Thank you again to Sheri for ensuring someone played our annual game and my thank-you to my registered 2018 guests is heartfelt. Each of you mattered even more in the leanest year. Yours truly, Carolyn. 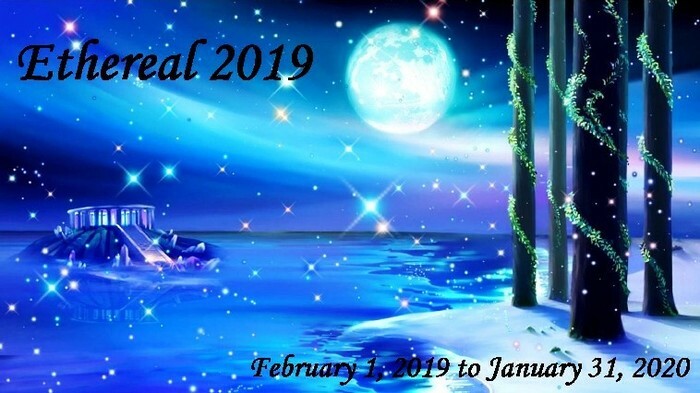 Join “My Kind Of Mystery” 2019! In my previous post I updated you personally. I ask you to aim prayers and wishes, like a beam of helping light: to ensure my cat is safe and gets home. Help whoever sees him contact us. By sharing good energy at the same time, with the extra work we have done searching: we will succeed and Conan will be home! My first thought when venturing to create my own groups, was moving the calendar up a month. We can count our reading from January to December but who wants to fiddle with wrap-ups at Christmastime? If you are in a lot of them or keep reading until December is finished: reviews and link-up are a scramble, when January is a lot freer. Running Feburary to January is stress free. The next thing I wanted to eliminate was exclusion to Canadians I saw from time to time, or countries outside the host’s. My year-end prize is humble, a choice of second-hand book or some other sweet little item from my personal collection. But it is open to every member of my group, wherever you live. And you don’t need to do backflips to qualify for the draw, nor to succeed in my themes. Being a member and sharing what you do end up reading is enough: there is no quota. We needed a general gathering place for all mysteries, not cut into genres and all three Celtic countries. In Ethereal books, I am also first to combine all spiritual literature with the paranormal and fictional supernatural; fantasy included. Anything remotely metaphysical is gathered in Ethereal. Lastly, my Gentle Spectrums group fulfills the fun of word-association and general contents, with broader categories that made many more books easy to fit in. The colour challenges bugged me: allowing one book per hue, in the whole spectrum of colour. I say keep sharing! Seeing how many we get with red and orange is challenge enough but is inclusive instead of prohibative! My own ideas were born and I am excited that they will be noticed more visibly next year. Many hosts are creative and talented. I loved their logos and when they were taken from books, I wondered which ones they were. The hosts didn’t say and I thought: a-ha! I will make a game of that. Therefore every year, I open everyone to identifying our “My Kind Of Mystery” book logo. I explained in my previous post, that with membership low and our minds on getting our cat home, I didn’t roll out the chats and games I have in mind. I will return to a prize for each of the groups when membership rises. In fact, if players don’t object, I am going to save “Game #2” for next year, on our activity page called “My Kind Of Mystery Games“. It works better with more players and allows me to make the new sign-up pages earlier, which is another key to bringing in more participants. Last call to members of all four groups, if you want to be in the year-end prize draw, you should let me know anywhere. :) And since we are so small, would my readers like to play along and guess the mystery logo clue? Here it is! The cover I chose for our 2018 group is not the one I own but I find it the most beautiful. I have not read this novel yet but this version suggests paranormal content but the categorization is something I favour anyway: gothic mystery. My first clue was to put it up and see if you recognized it. Since it is time to draw a prize, which I will do December 11, on with go with the whole array of obvious clues. I thank all 2018 players for keeping me company! I watched for comments and you seemed to prefer reading your selections and filling-up the review buttons. It was easy to visit those I could find at Goodreads. I don’t know if it is a WordPress problem or a slow internet issue but I cannot comment on Blogspot pages that use captchas. I want you to know I love all of you entries. I open the wrap-up updates to everyone! It is fun to take stock of the types of books that received our attention. If you have any questions, about our present or coming reading theme year, just ask. How many mysteries did you read? My own posts are not updated yet but I have read 52. How many ethereal books did you read? I have read 32. How many Celtic books did you read? I have read 12. 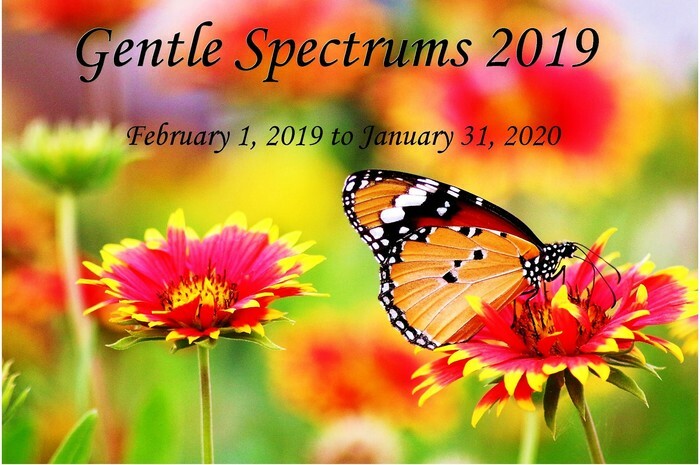 How many Gentle Spectrums categories do your books fit? I haven’t tallied mine yet but usually exceed 4 books per category. I hope you are planning a wonderful Christmas, or any celebration you have at this time of year. At a work supper, my spouse is receiving thirty-year recognition at his job! It will be a fun outing in the citiy. I am doing Christimas cards starting today and by next week-end, we will decorate. We have a lot of summer and autumn basket plants all over and love it. There is no rush: my Dad & I just exchanged late birthday presents. We wish all of you God’s blessings and a merry Christmas! Yours sincerely, Carolyn. I believe in prayers making possible, what is important to us. Ron & I are not giving up on our dear cat, Conan, being home with us safe and sound soon. Please keep up the prayers and positive wishes. This worry on our minds, along with small group numbers, are why I did not post any more discussions or activities than this. However we extended our range and leg work to find Conan, even asking schools to put up our poster. Miles of kids are watching for him across more rural houses than we would find door to door. He is well-known on the internet and locally, therefore we are set to let the work bring results. Please continue to assist us with prayers and positive well-wishes. We will succeed! Conan is a precious son, like the rest of our cat family. To improve group membership, I know sign-up posts are needed in December, when people browse but am busy this time of year. All our family birthdays are in winter, too. If I don’t want to rush reviews and websites around Christmas, neither does anyone else. Let’s urge hosts to break the January to December cycle and nudge things up one month, like I do: February to January. We can count our reading from January to December but not require closing during these busy times. See what we are reading in my four themes! Putting out a shingle earlier, with an influx of new friends keen to join veteran members, promise fun interaction. Most importantly, with prayers answered on our personal front: I see 2019 as a great year, to look forward to with pleasure! Please pop in and tell me how you are. I would love an update from friends I have made. Other other cats, waiting with us for their son and brother, Conan, are very well. They keep Ron & I happy, hopeful, and energized and cuddling with us when we are reading, too. I give honourable mention to two infant mice whom we helped overnight, when a neighbour cat disturbed a nest. Even wild creatures we acquaint are appreciated and respected. We loved witnessing a family of wild turkeys grow up and they are still here! They sleep in trees and have no trouble in a Manitoba winter! How many of you garden? This year was dry for fruit and squash and flea beetles infested again but each year is different and we try new things. Deer fences on our other three gardens are a must, with a munchy Mother and twin offspring staying with us all year. Laying nets across them worked in the meantime. We always grow an abundance of something each year, including flowers galore! Television shows I enjoy are: “The Curse Of Oak Island“, “Long Lost Family“, “Mama Medium“, “Modern Family“, “The Big Bang Theory“, “Roseanne / The Connors“, “The Voice“, “The Social“. Oak Island’s real mystery, whose exploration we watch unfold, is a childhood dream. You must read about one of the world’s greatest legends. After falling in love with Nova Scotia on my only visit years ago; I keep discovering reasons to be entraced with it. Long-distance trips aren’t in the cards but I have Ron curious to see this province! “The Social” is a Toronto talk show of Canadian news and general celebrities, including authors. Authors are seldom interviewed. Canadians speaking to Canadians is lovely. Which shows do you enjoy? My next post will be about solving our “My Kind Of Mystery” logo. It earns a bonus entry in the draw I make this week-end. If you are in any of my four groups and want to be in the draw, please e-mail or comment on any post / page. A bonus for guessing the mystery group logo is open to all groups. Friends and subscribers wanting to guess for fun, may chime in! I have fun activities planned for all my WordPress and Goodreads subscribers. I like everyone wishing each other what we celebrate, rather than a “happy holidays” generalization. I delight in wishing everyone’s blessings back to them. Warm words from all cultures are a gift. Here are Conan and his sister, Petal; two of our dear bed-cuddlers. The view is a special building for all of us, that our cats konw very well as “the library”. A break from the house, when it is not idea to play outside, their favourite words are: “Who wants to go to the library?” They trot down the sidewalk in their eager, colourful parade; one of my most joyous sights to me! Before I start writing Chritmas cards, from our south-eastern Manitoba home: we wish you a merry Christmas! Yours truly, Carolyn. My turnout was passable, the first time I tried Jane’s interesting reading theme. I finished and reviewed 150 books for myself, with plenty I was less keen about. It so happens I targeted two of the three I estimated, dismissing one as not for me. However Jane knows I write thorough write-ups and keep trucking. I follow through. Let’s see if I challenge other books I highlighted. I am more keen to this year. I feel if I am to be a serious authoress, I should read Jane Austen. I have collected most of them. There are millions of editions at those bargain places I riffle. I am all ready to go. But I have worried enjoyment might be hampered in a “women not treated properly” manner, being so old. She has been described as a romance writer, which is not my cup of tea but is also billed as a must-read of all time, the queen of excellence. I like beginning with the first. Maybe I’ll find humour or other surprises. Maybe I’ll be intoxicated by the writing. With me, that is possible; something I admire most. If I love the writing, the subject almost never matters. If all of this is not incentive enough: I have visited her house in Bath; the entryway! I figured I shouldn’t tour upstairs if I hadn’t read her yet. If I can afford to return to England, up I go! * I am keen read this in 2018! In November, my birthday month, I had my fill and treated myself to the kinds of literature I love best! I am ready to try this classic authoress. I believe it is a smart educational excursion as a writer. ** November 12, 2018: ** I did it! I read it right when starting 2018 and what’s more, I loved it! I am still a little automatically leery of big name classic authors, outside my favourite mystery fiction genre. Will I find 1800s books old-fashioned, unpleasantly injust towards women or animals, or unrelatable? These thoughts have me bracing myself for the most famous “Pride And Prejudice” and putting it on Jane’s list for next year. However now, I am armed with the knowledge that I liked one output of Jane Austen’s work. I feel very satisfied and accomplished about reading her first novel. Hurray! This is another case of gathering a long series but not falling in love with the character or premise. I hesitate to step forward over the writing. I cannot stand the adjective “gently” more than once. I had trouble reading “A Morbid Taste For Bones” and acquired about 20 of this lady’s books. Let’s hope this second book is better. * I will read this in 2018. There should be no more reluctance about reading this series after the first page. It is my hope the Ellis tamped down weak, overdone descriptions and gets right to the chase and her interesting aspects. I am sure I will like other mysteries a lot more too. The first was a slow trip to Wales. ** November 12, 2018: ** Believe it or not, I did it! I tried Ellis Peters, with her writing style I don’t quite like, and survived far better than I imagined! She DID improve this time around and I thought the novel was pretty good, too! Far more interesting than the first, in narration and in action. I was more afraid to revisit a series novel I knew I had not liked than of English classics, so this is an especially gratifying and triumphant accomplishment, Jane! Trepidation still exists for her third, “Monk’s Hood”, because one is unsure if she would slip back into lazy excess of narration, or if the improved editing will perseve. Perhaps if I like the next volume as well, I will be cured of dreading Ellis (who is Edith Pargeter). I read Gabrielle Roy’s first short story collection, presented as ficiton but autobiographical. She is from my home city. I already love her graceful, expressive writing; a genuine writer who is unparalleled! Why dread her first début, award-garnering oeuvre? I saw the original, French film in school, “Bonheur D’Occasion” and it was depressing. Curriculums are comprised of things we wouldn’t choose; not as children. Most school material can’t be appreciated until we’re grown-up. I had an extra cultural layer. I attended French schools since grade 4. Yes indeed, I speak and read more than two languages. :) Winnipeg’s own Gabrielle Roy was a must. I will read this, this month, perhaps when I finish my present book! It works with a translated challenged for the Canadian reading group. ** November 12, 2018: ** I have a proud report here too, Jane! I made it through this dreary poverty story that I have had an aversion to since school days! I was an immersion student and know French arts can get depressing and dramatic; even if they are known for “Joie De Vivre”, Can-Can dancing, romance, and high fashion (“haute couture”). The contents of this story that was groundbreaking for French Canadian literature, were the poorest situation I have ever imagined in a first world country. Their fortune, with a sick child in addition to finances, was grim. It received a modest rating but I had no troubling sticking with it, rooting for everyone, and appreciating conversation points that are new considerations for me. People were so poor, that war offered a life-saving income? Thought-provoking is a compliment and Gabrielle authored this in real time. The awards are well-merited. I always thought “The Handmaid’s Tale” sounded too abusive and injust for me to tolerate; so much that I am selling the new paperback I have owned for years. I understand there is no need to read unpleasant that I know I cannot abide. After last year’s success making a television show out of it, the violent clips confirm my impression. I tried Margaret’s first novel, “The Edible Woman” and gave it three stars. It was peculiar and abstract but there was enough resonance and levity to read through the story. I worried about the shelf of her books I have owned for years and whether or not any of them would approach my cup of tea. Since “Surfacing” is from my birth year and is all about rugged nature; daring to try it brought a triple-incentive. ** November 12, 2018: ** I am pleased to have pushed myself above an addition, fourth dreaded book! Here is some irony. The one I thought I might like, with a natural forest and lake setting and the sound of a mystery to it, is one of the books I have least liked in my life. It got one star and good-riddance, in my selling bin. I appreciate the gift of three sweetener goodies and feel that they merit the best effort I can make. So I feel good about conquering as many books that generated trepidation, as I can. If there are more, I will add them. There are plenty to conquer on a list per year! With a thank-you and appreciation, Carolyn. I rejoined “Reading Naturally” with pleasure and it merits a fresh page of updates, since we have arrived all the way to my birth month: November! Jane is generous, inclusive of Canadians, which I know as her first year’s winner! Our natural world and universe having a great deal to do with the spirit of all of us, fits right in with my long-standing “Ethereal“, which she joins. Jane is an eager, gratifying hostess, taking interest in what we contribute. She is very engaged and appreciative in a way I hope my guests feel, because this is my aim. With smaller groups and a longtime one, she establishes a nice community to which I am thrilled to belong. Any of her themes are well worth joining but I especially value sharing fellow animal and nature advocacy. Everyone knows our cats are our precious children. I will read to new year’s eve and add anything that fits this theme amply. I am finished, with at least three books in each! I met every item except the Orion book; a specific niche. I have one beautiful book about octopus that I won from Jane but want to savour it another time. I have many new books and continue working on my inaugural list. Even though no size is set, I made sure every category comprises full books, alongside tiny tot ones that fit the subjects nicely. Please return to see my explanations of my selections in these categories. Most of my reviews are ready. :-) Sincerely, Birthday Girl, Carolyn! Immersed in nature: 7+ books. (01) ANIMAL ADVOCACY, ENVIRONMENTAL PROTECTION. I love reading short educational spotlights about Canadian history, places, and people and buy a wide variety of them. I acquire knowledge in easy sips that I retain. Other than docking marks for focusing on dreary stories and these also sounding repetitive; the understanding I gleamed of how our police were formed, is valuable. Indeed, our Mounties helped found Canada, herself, by making it liveable through establishment of common sense laws and building protected outposts. They comprise as well, companion and working horses. I doubt anyone doesn’t know Beatrix Potter as the conservationist, unusually-varied animal person, and nature artist that she was. Her books result from tried and true experience painting animals, plants, and fungus; which made her an expert in mychology. Although warped religious aspects poor continuity struck my disapproval, Kevin Donovan’s independent book about saving animals from peril was appreciated by me. (02) OUTDOOR ACTIVITY ON A COVER. The Hardy Boys series, started by Canadian ghostwriter Leslie McFarlane, can be counted on for athleticism and animal and humanitarian protection. Extreme adventurous pursuits take place on land in all seasons and on lakes; with never-ending camping, hiking, climbing, wood-trekking, and cave-exploring. I didn’t feel Emily Toll had her stride with unrolling a mystery and putting this novel’s focus where it belongs. The natural locations are its special highlight: vineyards and even a forest of the amazing redwood trees. A kid’s book my brothers & I have had for years that I did not know was exceptionally good and forward-thinking: I loved Little Audrey’s story more than a look at the cover would have me guess. When a girl is declined use of a telescope, she and a friend, with some help from her Dad, invent a creative way to convince a boy of their intelligence! A picture book for the youngest of youth age groups, I admired that it was set in an unusual place, on a one-of-a-kind tourist experience. The white pass rides between the Canadian Yukon Territory and Alaska, a northern territory of the United States. Bernd & Susan Richter retired in the latter. These are self-explanatory. While my own precious cat has been missing, I need to read books like the two here. Any good, positive, and happy facts and testimonies of cats being returned home after a year and being resilient! Here are some special notes I would like to make, about why the four children’s books are a must. Wendy Frood Auger’s & Les Drew’s book is a new discovery that will surely become one of Canada’s classics. It is impressively uplifting, emotional, and representative of our activities in many seasons. Pamela Conn Beall’s & Susan Hagen Nipp’s story is notable for being a songbook, that is additionally well set-up for performance as a play. My favourite part about it, that touched me the most, is that each infant or youngster animal asked its Mother why they do specific things. Their answers are sweet and beautiful, even though they are commonplace and practical. Caroline Stellings’s sparklingly-illustrated book is a fresh new gem in Canadian children’s literature. It depicts the history of fortunecookie-making, via Gypsy, the cat, who needs to create a new way of employment for herself, after San Francisco’s stickler new mayor makes a law, against paying for fortunetelling. Anyone would be surprised at the education level of Jane Yolen’s & Mark Teague’s simply-told board book story. You might not notice that standard or made-up dinosaur shapes are not dashed off but astoundingly: are accurate drawings of how each dinosaur species looks! What’s more, this board book becomes useful to grown-ups, when you spot their actual scientific names in a corner of the portraits! (04) OUTDOORSY HEROINES AND HEROES. This is self-explanatory too but I want to emphasize that Margaret Atwood’s story is an outdoor mentality at the extreme. The protagonist psychologically snapped after having enough of overbearing companions and flees them by momentarily throwing off human-made things. Elizabeth Peters’s most famous Amelia Peabody character, everyone knows, works with her archaeologist husband in late 1800s Egypt. I favour her modern heroine, the impressive and much more relatable Vicky Bliss. She is a doctor of archaeology in the 1970s and 1980s and evades villains too, in terrain all over the world. Carole Nelson Douglas’s début mystery was not very good but one protagonist narrative is of a Las Vegas street cat, fashioned after her boy in real life. I am a new fan of Martha Grimes. Each mystery takes place in different English country and both men working on them leap in to all manners of adventures and exertion; intellectually and bodily. The policeman makes himself memorable by expressing a love for snow, whenever he can spend time in it. Martha ought to write a Canadian visit! (05) CURRENT ISSUE: climate change, biodiversity. This is where I valued making an explanation particularly. You would not know by any of these covers, nor by their respective genres (coming of age youth, standard adult mystery, and gothic mystery), that they entail admirably serious focuses on biodiversity. Phyllis A. Whitney’s original hardcover was not of a brooding child but of the wholly forestral experience it is about! Furthermore, a class of kids trying to get along, study how artificial lakes achieve water conservation. Our great Howard Engel who features detective cases around Niagara Falls and Ste. Catherine’s, surprised me by tackling the illegal disposal of hazardous waste! With the concern for the world’s environment risen since 1990, the aspects of this case would receive an exponentially more irate reaction. Velda Johnston puts a lot of work into gothic mystery personages and her settings, which are throughly-developed and impressively realistic. In short, her novels are not trite; even though romance is the surface sideline of this genre. In this one, an enterprising captain’s son establishes a sugar planation on a French Caribbean island and plans a sugary refinery counterpart for his American town. Do you see? You wouldn’t expect any of this content from these bookcovers! I am thrilled to achieve this specialized category so abundantly. The sweet-looking Scuffy of my childhood suite of books is self-explanatory. These mysteries by Anne Perry, Simon Brett, and Jo Dereske are started or resolved in various water bodies: London’s sewer system, a river alongside a retirement home, and a lake. As usual, Nora Roberts set her drama alongside an ocean. (07) NEW: published 2015 onward. Jane & I chatted about the difficulty of this category, which is why she accommodates what is new for us. I am a physical book reader buying primarily second-hand. These three are unusually new for my home stock, two and three years-old. A Canadian classic, based on history: I did not expect to love Hugh MacLennan’s literature landscsape changer to the degree that I did. Fictional post war lovers show us starkly, how serious the Halifax explosion was. A foreign ship carelessly ran into a parked WWI amunition ship at Halifax’s port. Hugh lived through it as a boy. The explosion and fires destroyed half the city glass shattered in many towns at a distance. Then, with people dashing for shelter; unfortunately, a blizzard hit. Gabrielle Roy was not only an adult in WWII but wrote her own literature landscape changer two years after it ended. Her perspective was very current and astute. At that time, there were Montréalers who were so poor; signing up as soldiers brought an income superior to what many had, to families! The great spy authoress, Dorothy Gilman, took us farther back in history and I gained more insight than I expected, into Boston’s defeat of the British. Her protagonist is a boy, kidnapped from England into indentured servitude. The city was affected by battle and the king cutting off supply ships. Past obsession and crimes were built vididly into Sarah Rayne’s mild horror mystery. Buildings of torture erected when the law excused favoured figures, stain a town decades into the future. It also affects the socio-economic state of villagers who have become elderly. (09) EXTREME ELEMENT: sailing, mountain-climbing. Nowhere are the seasons more prevalent than in northern and inland Canada: most of our country! None of these books salute the seasons solely by title. They all depict the outdoors vividly. However the first three, Canadian works, incorporate our seasons the most tangibly and directly of all. The first comprises short stories from my home province, with our infamy of climate and geographical terrain well-sampled. The succeeding pair are mysterious, by Louise Penny and Gail Bowen, that describe and include the outdoors expansively and keenly. Seasons are a category homemade for Canadian literature! ILouise Penny’s enthralling mystery takes place at a forest resort but what’s more, the resolution incorporates ants and sugar. Mignon Warner’s town medium makes special jam and tea brews. Thomas Kinkade was a prolific cottage, landsape, and garden painter; even if they looked the same. Ellis Peters’s medieval Benedictine monk really cuts the mustard of this category! He is their monastery’s herbalist and gardener! I would like to emphasize that Lillian Beckwith’s and Constance Walker’s stories in particular, imbue enchantingly region specific wilderness. The ocean along the Hebrides Islands characterizes Lillian’s autobiographic episodes and dangerous moors in Wales contribute to Constance’s mystery. Jane Austen whisks us into horseriding countryside. Elizabeth George takes her police team around farmland and old monasteries, beside a wilderness retreat. For Dorothy Daniels’ excellent mystery, her hard to access lake and island are the point! There is a lot of new content for me to adopt into my favourite literature this year! Victoria Holt’s gothic mystery heroine is an accomplished equestrian teacher and Victoria Thompson’s heroine is an early 1900s widwife. Rhys Bowen’s Welsh policeman is an accomplished hiker and mountaineer, like many of his small town by practicality. My other two books require less succinct descriptions. The Father in Robert Westall’s novel is a historic architecht, restoring a monastary discovered to be older than the extior revealed. This is woodland and a variety of masonry, cooking, and outdoor skills arise. Cancer Care Manitoba has worked towards a cure since 1930! This is a wonderful, keepsake artbook about their most memorable fundraiser, that I saw and on occasion, continue to see personally. Amateur and professional artists of Winnipeg painted majestic, permanent polar bear statues for company donors! It brought together mould-making artisans, transportation and storage experts, visual artists, fundraisers, an array of local industries. Their efforts connected with the medical, scientific, and administrative experts in cancer curing and care. (15) ADVOCACY: SPEAKING UP FOR NATURE. Loving local memories, creations, and artwork again: Carol & Kristin Szuminsky are a daughter and Mother, authoring beautiful self-published books with Kristin’s artist and convervationist Father, Jack Brown. I seldom visit Oak Hammock Marsh because it is at a distance and takes time to explore but I remember and value every visit dearly. It is one of Manitoba’s very important nature and ecology preserves. It is a children’s book but none fits better. David Handler is one of few men writers I enjoy and I am a fan of his interracial mystery-solving series couple. The strong, fit policewoman is a cat-rescuer and her film critic boyfriend resides in a lakeland gated community. In this mystery in particular, they fight to keep it natural and quiet. Larry Weinberg’s book has another cover that does not give credence to the fantastically sympathetic dual timeline adventure; bolstered with impeccably-researched Civil War history. It pertains to humanitarianism the most but the whole face of the United States, people and land, altered drastically at this time. There is a tremendous love and respect for horses throughout as well, if this theme required more of that aspect. (16) BIOGRAPHY, MEMOIR OF AN ENVIRONMENTALIST. Jean Little is a Canadian born in Taiwan, with missionary parents. This biography of her Mom’s, also born to missionary parents, shows how she and her husband got into it. The protagonist’s own parents often acclimatized to foreign countries but also had re-establish themselves with relatives, in Canadian towns or farms. Jean, legally blind, became an advocate for education about blindness and guide dogs. Peter J. Peters emigrated to Manitoba as a child from wartime Russia and was extremely well-known in our agriculture and berry-picking industry. He happened to be a self-published poet, with autobiographical pieces and poems in each of his books. I don’t like his prose but love the heart about our home turf. The most self-explanatory name there is on natural, animal, humanitarian, and spiritual subjects: Jesus! This energizing, all-inclusive spiritual discussion, accompanies a documentary Janet & Richard Bock filmed called “The Lost Years”. It shares documented historical facts that the average populace doesn’t know, or strive to know: the gospel book was edited down. It was done to the advantage of Constantinople’s religious leanings in 325 AD; made worse by ruining the invaluable Library Of Alexandria in 389 AD. There are no arguments and every portion is very respectfully, impartially presented. There is also a lovely personal element: their experiences looking for records in India, of Jesus’s omitted life activities from ages 13 to 30. All of the natural landscapes explored in India are vividly brought to mind and sacred places and experiences related with wonderment. (17) ORION OR OTHER AWARD-WINNING LITERATURE. This is a section I skip because I’m not an award-winning or classic reader. However, I did not recall the amended definition. If nature-related books garnering other awards work, I can finish this category as well. However the ones I have read that fit, serve any other category better. Are you an earnest listener? We made two of our closest friends seventeen years ago. Yes, I have a strong memory for dates, personal moments, the stories of novels and films…. details generally. The only aspect at which I am less strong is memorizing a list string, which demonstrates that a different brain neuron works with those. As evidenced by board game trivia, I ace retrieving memories. If I have ever absorbed it, I can get it out, with patience and a prompt! Therefore when this wonderful friend seemed to have a habit of laughing off her inability to retain information “for old age”, it made me angry. I have never abided a defeatest attitude, the impossibility of making some contributions and possessing some control. Age 43 recently, was as far as I could go to avert reading glasses but by gum, age is not an automatic declarer of brain and body health! I pointed out to her a couple of years ago, that I am older than she was when we met. I am glad she has not made that distasteful joke again. In her case: an intelligent, educated, successful, and loveable woman…. attention span is the key! I need to alert her about this because it has grown hard to have a conversation. She is one of those folks you might have encountered, who drops the person speaking to her for whomever walks by. Not “Excuse me, I’d like to catch them before they leave” but dropping me and turning to them! How can she remember a thing, if she tunes into the room instead of the person facing her? Every subsequent shiny object is more interesting than her present focal point. It doesn’t work to be like my Dad, so geared-up about what he wants to say, that he can’t be paying attention. People who break in as soon as your sentence ends (which would be a step up with my dear friend!) are a sure sign. They say they heard you but barge on, closing the conversation you offered. Being good, invested listeners is the first step to memory strength. My philosophy is that we all win, if we are most interested in what the other person has to share! Make emotional exclamations, validate feelings, pose questions to show earnest interest. It’s a shame my folks bicker to speak and that we need to firmly clear sentence space. My beloved spouse is a unique case in its own way, less frustrating if it didn’t require a daily effort to overcome. Instead of listening to my simple queries and answering the plain words, he inexplicably drums up an interpretation of what he thinks I want. Gadgets must go when we are visiting! Phone calls, e-mails, voice mails, text messages are for keeping in touch with someone who isn’t in your house. Don’t answer phones or messages when you are in someone’s house! Enjoy the person in front of you. It is impossible to engage yourself fully and concentrate sufficiently well. Even if you ignore messages but have gadgets on and can hear or see what’s incoming. It serves nothing but to make you curious about what the message is. The moment your guest or host leaves the room, most people can’t contain their curiousity. The beauty of visiting someone’s home is that when your host steps away, you absorb their atmosphere, their life! Make friends with their pets, gaze at their portraits and art objects. When is the last time you perused anyone’s shelves of books, music, or movies? Leave calls and messages for home, or emergencies! It goes without saying that parents with young children necessitate a gadget tuned in. We are discussing the need to establish conversation and visiting etiquette, especially in the era of people’s answering machines and e-mail being hauled with them. It used to be that you checked your internet and answering machine when you got home, or asked to check-in remotely on a long visit. We dearly need to preserve the “catch up at home” mentality and manners! Ron & I got so aggitated about our land line disturbing us, when we were enjoying cats on our laps and other lovely couples moments, that we keep it unplugged. I favour the unobtrusiveness of e-mail. People can leave you messages at any time and you set aside time to check it when it’s convenient. My parents who don’t have the internet, can leave a voicemail on my cell phone, which only has emergency minutes. It sits in a drawer unless I go out. If I hear it, I answer and look for voicemails every few hours. I am not interrupted, nor apprehensive about being disturbed. My reading, writing, and special home time is wholly invested. Ron leaves his emergency cell phone on the counter. His Mom and mine occasionally call. We don’t watch movies and listen to CDs often enough and savour that. Because I am focused, if I see a film or television scene again, I know the dialogue by heart. It feels splendid when we occasionally read books together on the same couch. I treasure all of these moments.